Eyebrows really frame a face. I didn't appreciate this until very recently, but having groomed eyebrows really sets up a makeup look and gives you the polished, professional look. Being an enhanced natural blonde, I was always afraid of doing my eyebrows in case they looked super dark and made it clear my blonde-ness was helped by bleach but once I overcame that hurdle and practiced with different colour eyebrow waxes and powders it became much less scary! First of all, take a good look at your eyebrows from far away. 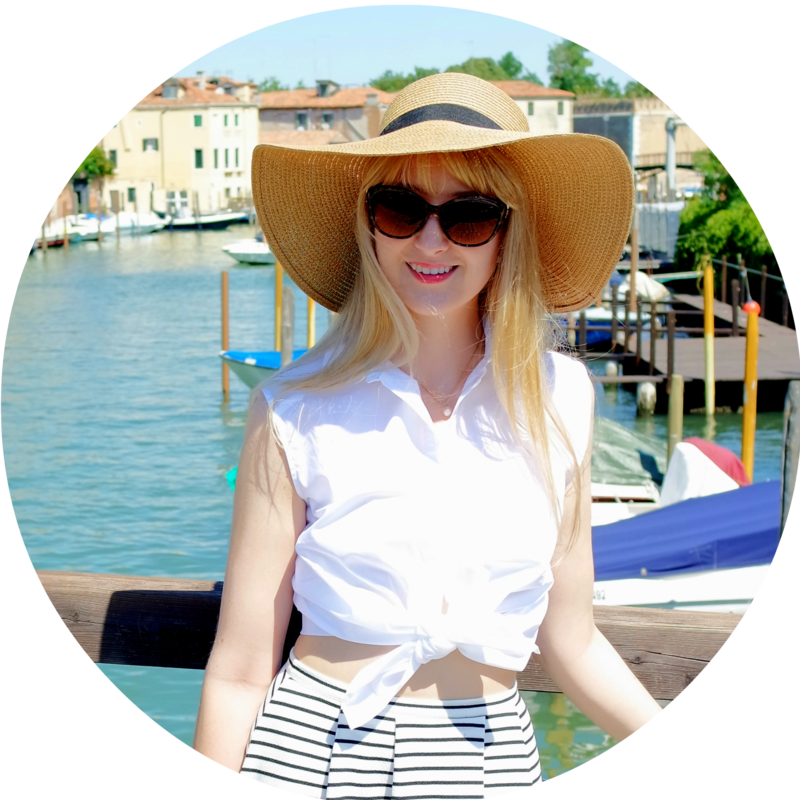 When we get up close, we lose perspective on what they look like on your face as a whole and that's how we get skinny brows! The first stage in shaping your eyebrows is brushing them so they lie neatly. This also helps me find where my arch is - the hairs between the bridge of your nose and the arch will brush up nicely, then where the arch begins, they resist brushing up and want to lie pointing down towards your ear! 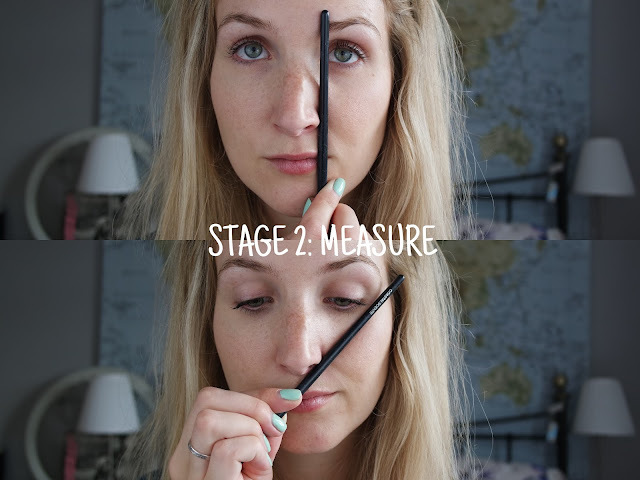 You then want to measure your brows. I find it helpful to use an eyebrow brush to do this. 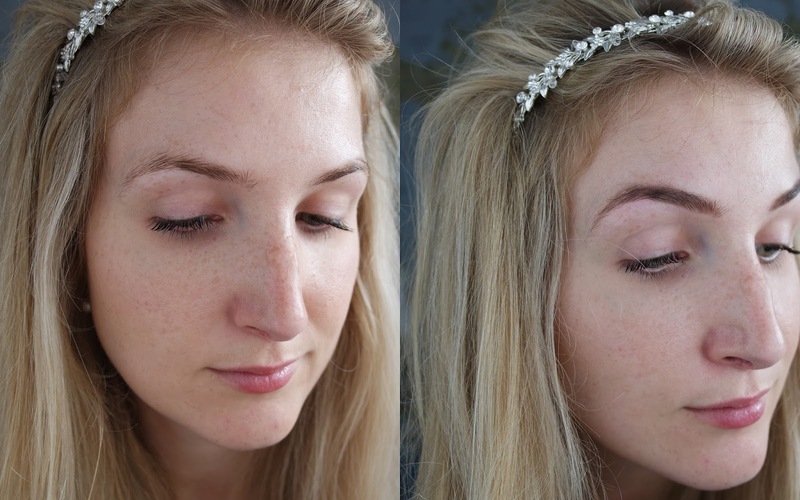 Your brows should start in line with the edge of your nose, and should end at an angle with your nostril! This is hard to explain so check the picture. Next we pluck them to perfection. Take your time over this step, take frequent breaks away from the mirror to look at the results and don't overpluck! I only pluck under the brow and leave the tops. 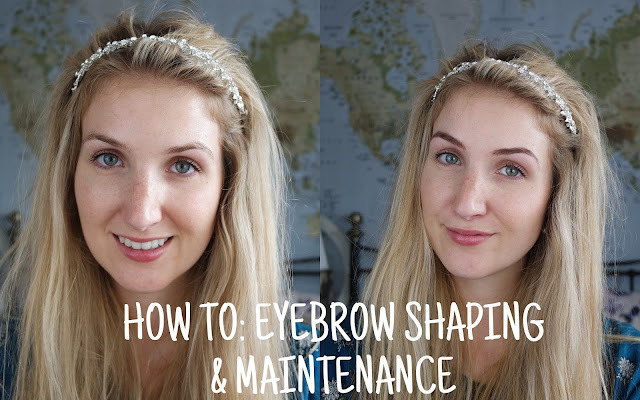 Keep brushing your brows up to find your natural arch . I like to create a really straight line under my brows like below. Don't worry about any hairs which stand the wrong way (like the ones around the bridge of my nose for me). Leave them as they are and don't pluck them out. Now get some tiny scissors because we're going to trim the hair to perfection. Slowly, brush up the hairs and gently snip the ends of the longest hairs. I particularly focus on the unruly hairs which grow outwards around the middle. For me, the snipping highlights the patchy areas where I used to over-pluck in the early 2000s! Don't worry if you're the same though, we're going to cover it. I initially use a tiny dab of the middle powder on the bits which are missing hairs, and then use the wax on the left to brush my eyebrows into perfect shape! 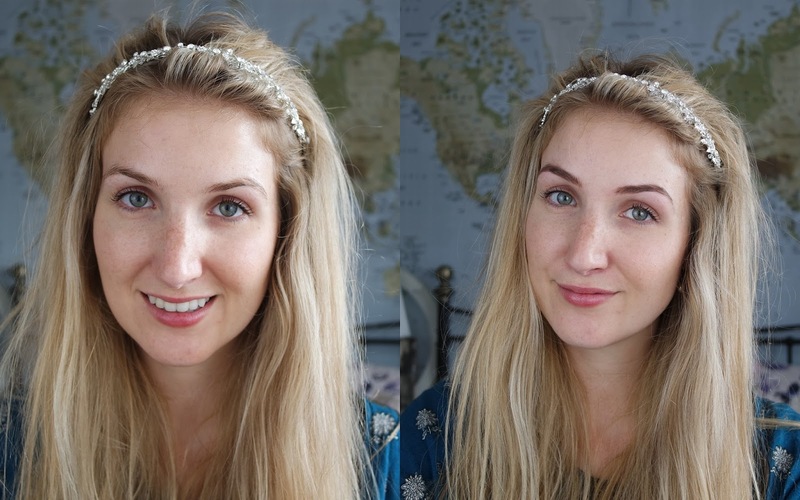 Groomed brows make a big difference, and with these tips you won't end up with scouse brows! They really frame a face and I love the look.